Labels: chronically sick, constant pain, exercise. Pain. 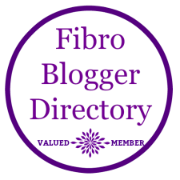 Disability., fibro, fibrofog, fibromyalgia, Fibromyalgia Friday, giveaway, heat, hot water bottle, problems with the phone. memory. dementia. CFS.